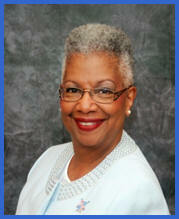 I am Lenor R. Reese, National President of Gamma Phi Delta Sorority, Incorporated. On behalf of the members of Gamma Phi Delta, it is my pleasure to welcome you to our website! We are pleased that you have taken the time to visit our website to learn about our programs and activities. Gamma Phi Delta Sorority is a business and professional women’s organization founded on the campus of the Lewis Business College in February 1943 in Detroit, Michigan. Mrs. Elizabeth A. Garner, an instructor at Lewis Business College, assisted by her sister, Mrs. Violet T. Lewis, Owner and President of Lewis Business College, wanted to provide, for their students, a sense of sisterhood and an opportunity for service in their individual communities. Their vision has continued throughout the years and we now have graduate and undergraduate chapters throughout the country. Our programs and commitment to serve others are based upon Membership, Education, Economic Development, Public Information and Social Action. Our National headquarters is located in the historic Motown District. We are active partners with the residents, other businesses, and civic organizations in this historical area to preserve its legacy. Gamma Phi Delta Sorority is comprised of a diverse group of business and professional women committed to service to our communities, sisterhood, and professional and personal growth and development of women in the workforce. Our organization does not discriminate against any individual identifying as female at the time of membership with respect to race, color, national origin, religion, creed, political belief, disability, age, marital status, veteran status, or sexual orientation. As the 2016 – 2020 National President, it is my honor to lead this esteemed organization. During our next four years, I look forward to working with Gamma Phi Delta Sorority’s leadership, members, partners, and sponsors as we work to empower women and inspire current and future leaders. If you are interested learning more about our sorority or pursuing membership, please contact us. Thank you and please visit our website again.